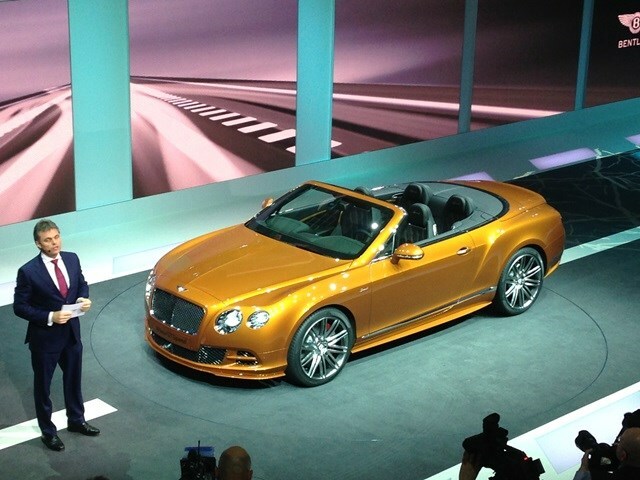 Bentley launched its 2015 model range at Geneva this year. The main news was a revised Continental GT, which gets an extra 10bhp along with slightly more torque from the 6.0-litre W12 engine. No down-sizing here, then. It’ll cover 0-62mph in four seconds flat, while the exterior has been given minor tweaks and a new colour is now available. The cabin gets more styling changes to keep things fresh, while there’s more equipment on offer too. Perhaps unsurprisingly, Bentley is rolling out its V8 engine to the Flying Spur as well. This dramatically lowers running costs, but don’t worry – there’s still more than enough performance on offer.